Hello Friends! I'm back with another card from the October Simon Says Stamp kit. I'm lovin' it! 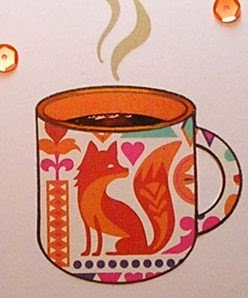 I created this card with a special friend in mind, she loves foxes and bling, soooo I combined the two and came up with this foxy little mug. I stuck to a really simple layout for the card and I paper pieced the mug. I loved this lone fox and the heart and wanted to showcase it in a special way. I also paper pieced the inside of the mug. I colored the "coffee" with Copic markers and added some Glossy Accents. The card is still very flat even though I went nuts with the sequins! 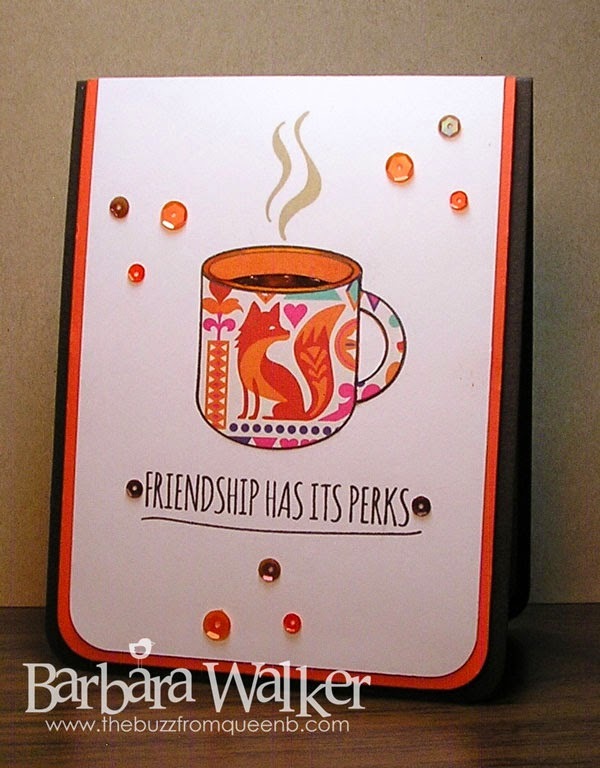 I used the Mocha sequins from the kit and also Pumpkin, Tangerine and Espresso sequins from Pretty Pink Posh. That is it for the card share today. Thanks for stopping by! What a fantastic way to showcase that fox image! I do like the sentiment as well. Great card! Your friend is sure to feel super special! Oh that's adorable! Love the paper piecing and your coffee looks so real! An adorable little CAS card!